I firmly believe we are a product of our environment, and our children are sponges. If you teach them today, it sets a lifelong habit of doing the right thing. My 3 year old and 8 year old are examples of this. They know what’s good for them to eat and prepare their own lunches. They don’t turn their noses up at fruit and vegetables – although it took several attempts at brussel sprouts and beets before I could get them to buy in – but alas, they are now champions (Note: It takes up to 8 times before a child – and adults – becomes comfortable with a new food.) Same thing for cleaning habits. If they learn how to clean their food thoroughly, they’ll do it as easily as they rinse with water. Take my son for instance. He’s 3 and knows how to wipe an apple and consistently asks his teacher and friends if their fruit has been washed with Eat Cleaner. Same with my 8 year old. She knows the drill and uses our Wash + Dryer Kit like a pro. We eat a ton of fruit and vegetables, chicken and seafood and we always marvel at the before and after difference. She makes salads, uses the apple slicer to cut up fruit and has no problems making vegetable ribbons with the peeler. The preparation of food is just as important as eating in our household. At the end of the day, they’re connected to what goes into their bodies. My grandfather (giddou) always used to say life is one big test tube. As a science teacher and philosophizer, giddou was all about the structure and composition of things. I didn’t really get it at the tender age of 8 but now, it’s as clear as a beaker. What you add, how much you add and the order you mix it up will inevitably dictate the outcome – good, bad or worse. That goes for just about anything, from relationships to putting on makeup. Chemistry is definitely king in the kitchen. Onions can bring you to tears with their sharp edge and pungent, heady garlic might even cinge your nosehairs. Yet, those same ingredients can turn sweet as candy when you release their sugars over low heat for a long time. A pesto made with raw pine nuts is good but toasting them brings out a dimension and depth that’s sublime. Roasting vs. baking. Boiling vs. poaching. Cleaning vs. Rinsing. Once the you can anticipate what a flavor will become by manipulating the ingredient or technique, you’ve graduated from recipe reader to full fledged master of your creative cooking domain. When you think of salad, opting for grilled over chilled may not come to mind but this is where we can take some culinary liberties. Try my two faves and let your tastebuds be the judge. Healthful, flavorful, easy to enjoy and pleasantly filling. Here’s to hot salads and cool nights ahead. In a blender or food processor, add all marinade ingredients and blend until smooth. Season to taste with kosher or sea salt and pepper. Clean vegetables with Eat Cleaner and slice into 1/2 inch rounds and placed into 1/2 of marinade for 15 minutes up to several hours. When it’s time to cook, lightly brush with olive oil and place in a vegetable grill basket, on a piece of aluminum foil or onto a skewer. For radicchio, cut in half and place directly onto grill. Over medium heat, grill until browned grill marks and slightly tender, al dente. Transfer to a serving dish and gently toss with remaining marinade. Layer cooked vegetables on top of radicchio leaves and top with crumbled feta and olives. Serve warm. In a saucepan, bring pineapple juice to a boil and cook over medium low heat until reduced to 1/3 C, aprox 8 minutes. Add coconut milk and simmer until medium thickness is achieved. Remove from heat and whisk in remaining marinade ingredients. Let cool to room temperature. Add shrimp to half of the marinade and refrigerate for 30 min to 4 hours. Remove shrimp from marinade and thread onto skewers, alternating with pineapple cubes, scallions and red bell pepper. Grill until shrimp are well cooked, about 4 minutes on each side. Add quarters of butter lettuce to the grill and allow to cook briefly, approx 1 minute. Toss vegetables (except lettuce) and shrimp with most of remaining marinade. Separate lettuce ‘cups’ and fill with shrimp and vegetable mixture. Top with crushed peanuts and a healthy squeeze of fresh lime juice. Finish with a spoon of marinade. If getting your 5-9 servings of F+V is a struggle, get jiggy with the juice. Growing up in Egypt, a prerequisite for a blistering hot day – about 10 months out of the year –was to pay a visit to the juice bar around the corner from our flat. The proprietor, Abu Aly, would stack the counters up with colorful pyramids of oranges, beets, mangoes, guavas and pomegranates, depending on what was in season. Vases filled with rods of sugar cane and long carrots anchored the artful arrangements to create an edible landscape. Once the juicers started to whir, the sweet scent of freshness would dance through the steamy streets, luring customers in like a pied piper. He’d create his own signature fruit and veggie ‘cocktails’, mixing beet with orange, carrot and mango, a soulful blend of sweet and savory. At a time when soda hadn’t circled the globe yet, juicing was just pure refreshment. No one ever mentioned it was good for us. In the upcoming issue of the Clean Plate Club, bone up on the fundamentals of fruit and veg power, get the skinny on why juicing can help trim your waist and sip on some of our enticing elixirs. When you strip down the fundamentals of sound nutrition, getting back to our roots is the key to cleaner living. 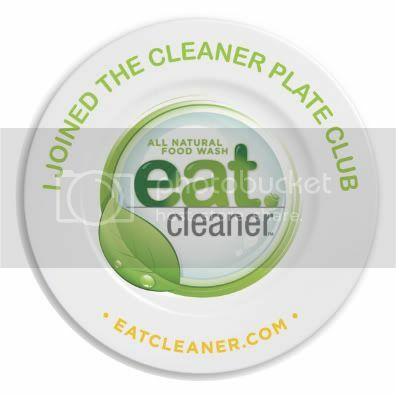 Visit www.eatcleaner.com and subscribe today. Pass the clean plate. You are currently browsing the The Cleaner Plate Club/Eat Cleaner blog archives for September, 2009.